“We are the default mental health system after normal business hours,” he said. Cumberland County isn’t an outlier. The growing need of police and the courts to deal with mental health crises is showing up throughout Maine and nationally. Mental health advocates say across the country suicide rates are up 24 percent since 1999. A 2016 federal study found that nearly 45 million Americans had a mental illness of some sort and nearly 13 percent had a major depressive episode in 2016, compared to 9 percent in 2004. That all contributes to added pressure on law enforcement officers, who are often first responders when a person is in the throes of a crisis. In Rockland this spring, a man told police that a friend of his said he was hearing voices that were telling him to shoot up a school. Police locked down the schools in the city and then confronted the man, who admitted he was hearing voices but said he was able to tune them out. The man was detained and seven guns were seized from his house. He was then involuntarily committed for a mental health evaluation. Twenty or 30 years ago, police handled most calls involving people having a mental health crisis differently, said Robert M. Schwartz, retired chief of the South Portland Police Department and now executive director of the Maine Chiefs of Police Association. Into the 1980s, there were centralized, major institutes for mental illness in the state. But a series of state policy directives established regional boards to oversee the delivery of mental health services in communities, preferring outpatient versus inpatient settings and shifting the primary financing of those services from the state to federal sources. Transporting someone to a hospital for an evaluation then was time-consuming and could often eat up much of a patrol officer’s shift. And, Schwartz said, it wasn’t unusual for a doctor or nurse to decide someone brought in by police wasn’t experiencing a mental health crisis, or at least was not a threat to himself or others. That meant transporting the person back home, he said, requiring more use of police time. So instead of going through all that for an uncertain result, officers often just tried to calm down a situation without seeking an involuntary committal or evaluation, Schwartz said. “Certainly things are handled much differently and society as a whole is different than it was back then,” he said, with a greater focus on trying to identify incidents where mental health, rather than criminal behavior, is at the core. And doctors and nurses are more likely to take the situation seriously if they are asked to evaluate someone, Schwartz said. Joyce said a major focus for his department has been on training personnel to handle calls dealing with someone going through a mental health crisis. A big part of the job for police who are dealing with someone going through a mental health crisis is simply evaluating the situation, Joyce said, and that’s where the training helps. Is the person having the crisis a threat to himself or herself? To others? Is it an issue that needs to be dealt with immediately? Will a recommendation to have someone see a mental health professional be followed? Those questions are among the many that his officers have to sort through on a call, he said. “We do a lot of that triaging,” Joyce said. The procedure to have someone involuntarily committed is called a “blue paper” process, named for the color of the form used in seeking a civil commitment. These are emergency commitments, made after a doctor, nurse or mental health professional has determined that someone is a threat to himself or others, said Molly Moynihan, an assistant Maine attorney general. Those mostly occur after a police officer has taken someone into protective custody, she said, but in some cases, someone else – a neighbor, family member or doctor, for instance – can seek to have a person committed. In most cases, Moynihan said, a person considered a threat is taken to a medical professional for an evaluation. Maine’s larger hospitals have psychiatric departments and the state operates two psychiatric hospitals – Dorothea Dix in Bangor and Riverview in Augusta – where people in crisis can be evaluated and treated. A Maine judge needs to sign off on an order for commitment and it’s something that judges are increasingly inclined to do. 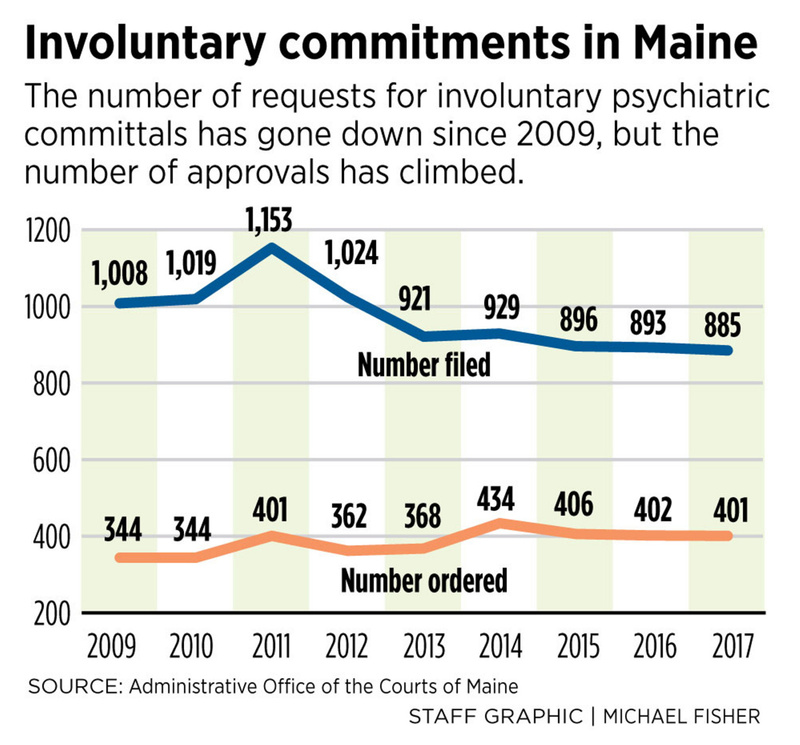 In 2009, judges ordered commitment in 34 percent of cases – 344 civil commitments out 1,008 filings, according to figures from the Administrative Office of the Maine Courts. In 2017, commitments were sought in 885 cases and judges ordered them 401 times, or 45 percent of the time. Within 24 hours, Moynihan said, a staff doctor or clinical psychologist has to certify that the person committed still poses a risk or the person is discharged. Moynihan said there are further checks for those held against their will, but often the patient will voluntarily agree to additional treatment, usually as an outpatient. 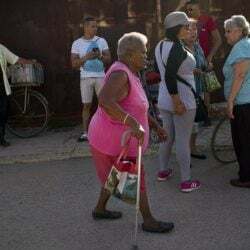 Those who continue to be held against their will, she said, have a lawyer appointed to their case and a court hearing within 14 days. An independent examiner meets with the patient and files a report with the court, and a judge then decides the next course of action and whether the patient will continue to be held. Moynihan said subsequent commitments can stretch for a year. 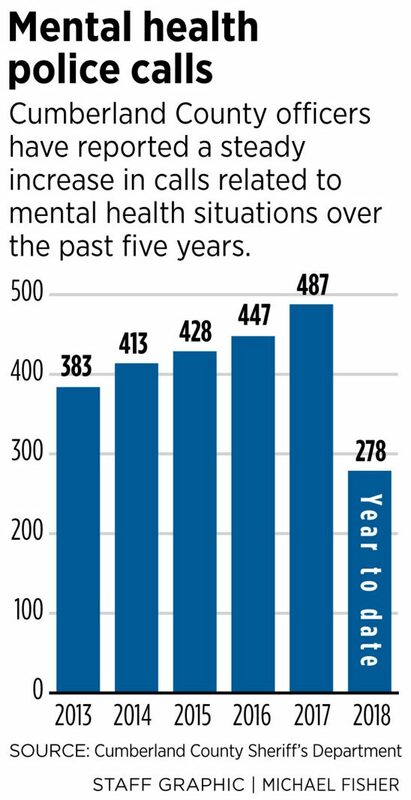 After the incident in Rockland this spring, the city’s police chief, Bruce Boucher, said his department, in a community of about 7,200 people, deals with three or four mental health-related calls a week. Last year, Boucher said, there were 94 calls that resulted in someone either being involuntarily committed or sent to a mental health professional for an evaluation. Aspiring police officers get about 15 hours of training in mental health issues at the Maine Criminal Justice Academy in Vassalboro. They learn how to recognize and deal with someone having a mental health crisis and how to deal with the legal issues that entails, such as involuntary commitments, said John B. Rogers, the director of the academy. The training also involves scenarios that help officers learn how to handle situations involving the mentally ill, he said. Rogers said the academy recognizes that 15 hours isn’t enough and provides further on-the-job training for officers, who are required to take 40 hours of additional training in various aspects of law enforcement every two years. One of those courses this year is called “Policing the Teen Brain,” he said, recognizing that teenagers are often going to see situations differently than adults and face their own specific sets of challenges and mental health issues. Rogers said his academy just completed certifying 14 new instructors who can teach mental health first aid. New classes are also being added, he said. Jenna Mehnert, executive director of the National Alliance on Mental Illness Maine, said her organization travels around the state to provide crisis intervention training to police departments. She said a lack of services for the mentally ill makes the training critical because police and the courts will often end up handling many of the mental health issues of residents. The signs of a growing mental health problem in the country are clear, Mehnert said. Suicide rates are up. The average age for the onset of many mental illnesses is down. Social isolation is more widespread than ever before. Even technology plays a role, Mehnert said. And the mental health issues that develop fall into the laps of law enforcement officers, she said. Mehnert’s agency provides crisis intervention training for police throughout the state. Maine is the first in the country to have that training available to all police departments, she said. The focus of the training is to calm a situation and try to figure out the root or roots of the problem, she said. She said the focus is on making sure officers talk slowly and calmly and express empathy. “Law enforcement sees people with psychosis at their worst possible moment,” Mehnert said. Despite the statewide training, Mehnert said Maine should learn from – and adopt – some of the approaches used in other states. Texas, for instant, has assessment centers where police can take people who are in protective custody for a quick evaluation of their mental status and the level of danger to themselves and others. Then they are moved quickly to treatment or into the criminal justice system, Mehnert said. In Maine, she said, the response still varies from department to department. Some are better than others, she said, at being able to recognize the mental illness that sometimes leads to criminal behavior. Often, that means treatment instead of jailing, Mehnert said. “The better way to address the problem is to figure out what’s going on and get them to the right person,” she said. 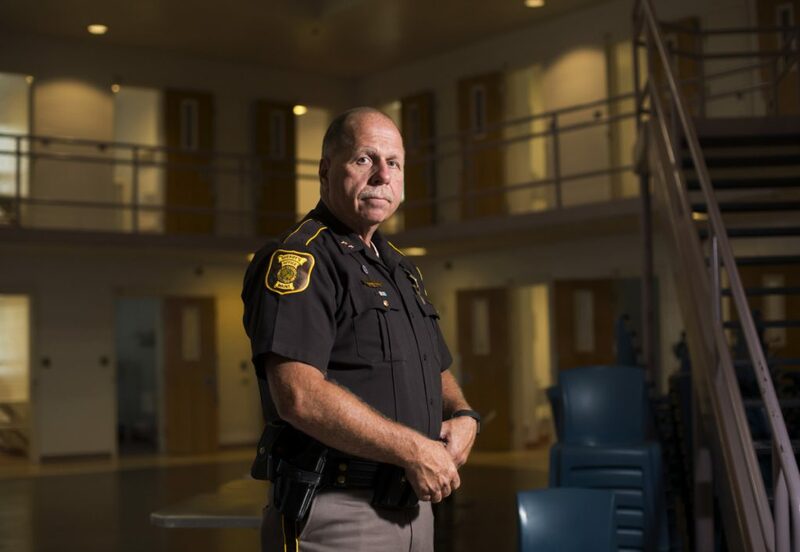 Joyce, of the Cumberland County Sheriff’s Department, said police recognize that means a bigger investment of officers’ time for those with mental health issues. He said his department recently dealt with a man threatening to shoot himself. The officers got the man to give up his gun and took him to Maine Medical Center for treatment. But that hospital was too busy to accept him and the deputy eventually was able to get the man admitted to Southern Maine Health Care in York County, a process that required hours of the officer’s time. “It’s really put a lot of pressure on law enforcement,” he said, but ultimately connects to the bottom-line goal of police work.